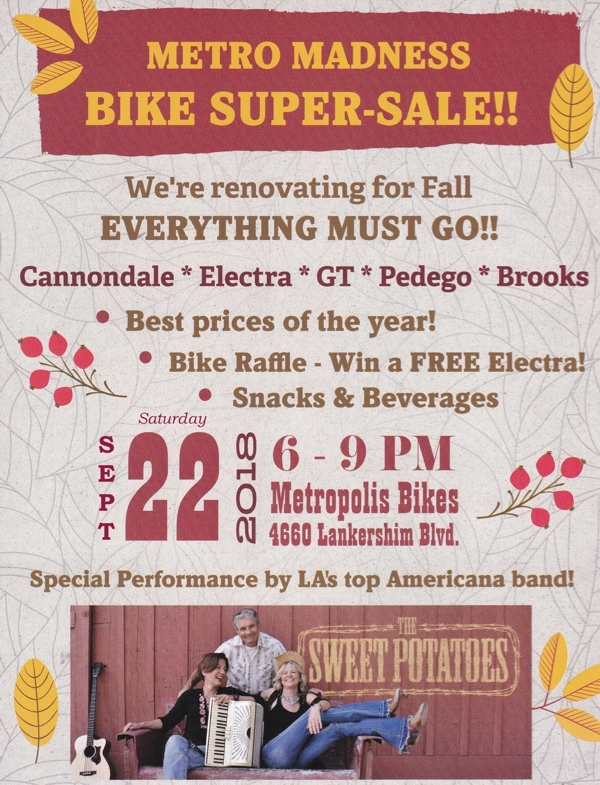 Metropolis Bikes is having a Special Event for the Toluca Lake Community. We are having a once-in-a-decade renovation sale this Saturday, 9/22, from 6 pm to 9 pm at Metropolis Bikes in North Hollywood. Best prices of the year – there’s a bike with your name on it!